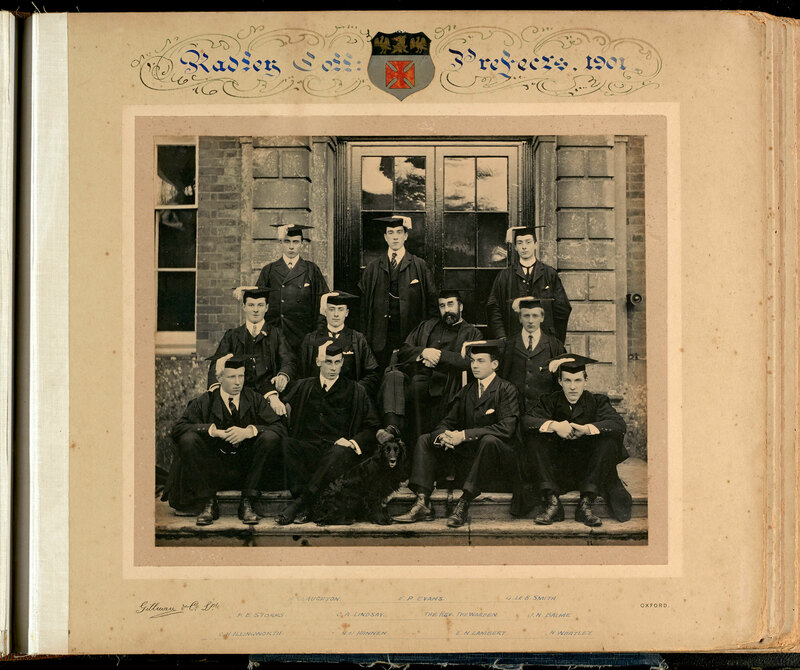 Select the thumbnail image above for a larger image (of Eric Lambert in a group of Radley College Prefects in 1901) which opens in a new window. 8th Battalion the Yorkshire Regiment. Son of Mr. Robert Carr Lambert and Mrs. Lambert, of I, Norton Rd., Hove, Brighton. Born at Liverpool. Killed 7 June 1917. Aged 34. Buried RAILWAY DUGOUTS BURIAL GROUND. Eric Lambert was born in Liverpool in 1883. On June 3rd 1917 he was with the 8th Battalion as they assembled at Ouderdom in readiness for the Battle of Messines. On June 5th the battalion moved up closer to the line with Captain Lambert and “B” company making for Larch Wood Tunnel. On June 7th at 3-0 0 a.m. following the explosion of nineteen mines under the enemy positions the battalion advanced over the ravaged ground. “Captain Lambert was handling his company with great skill moving round the mine craters, broadening their front and then closing and changing direction as necessary”. Captain Lambert was wounded in action just after this and taken back to a dressing station where he died shortly afterwards on June 7th 1917 at the age of 34. He is buried in Railway Dugouts Burial Ground to the south of Ypres where an advanced dressing station operated during the Messines battle. Eric Noel Lambert was the son of Mr Robert Carr Lambert and Mrs Lambert of 1 Norton Road, Hove in Brighton. The photograph of Captain Lambert, amongst a group of Radley College Prefects in 1901, is from the archives of Radley College, Oxfordshire, and has been kindly provided by Clare Sargent, Head of Archives at Radley College.